Troy McRitchie and BLG received a favorable verdict in Clearwater following a 5-day jury trial involving compensatory and punitive damages. 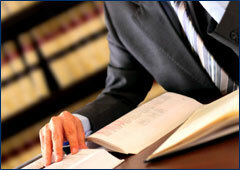 Troy represented a driver and his employer in an automobile negligence claim. The driver admitted fault for the accident that occurred because he was distracted while using the GPS application on his mobile phone. He failed to recognize that he had a red light and t-boned the other vehicle, causing serious damage. Plaintiff claimed that this was evidence of gross negligence and sought punitive damages. Plaintiff claimed that the accident caused herniated discs at C3-4 and C5-6, which affected his active lifestyle and his ability to perform his job restoring classic cars. His orthopedic surgeon recommended a disc replacement surgery and provided ongoing epidural steroid injections for pain management. Plaintiff claimed $500,000 in economic damages and $500,000 for pain and suffering. Troy obtained a directed verdict against the Plaintiff on the issue of punitive damages. The defense then disputed the opinions on causation, showing that there were no herniated discs and that surgery was unnecessary. Surveillance showed Plaintiff working without impairment. The jury awarded a total verdict of $69,000 to Plaintiff for past medical bills and pain and suffering. The verdict will be further reduced for PIP payments and reductions.